Consuming a sufficient amount of fruits can work wonders for the system, Sadhguru explains. 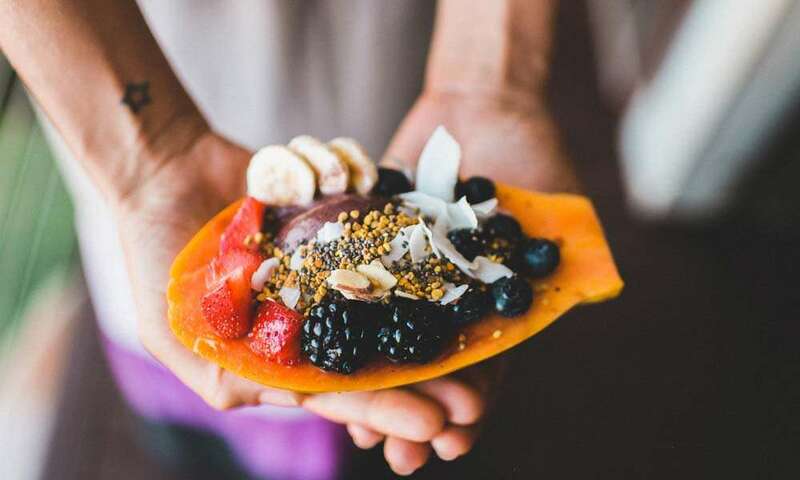 He discusses the benefits of incorporating more fruits into one’s diet or undertaking a predominantly or totally fruit-based diet, as well as certain precautions that one should take. 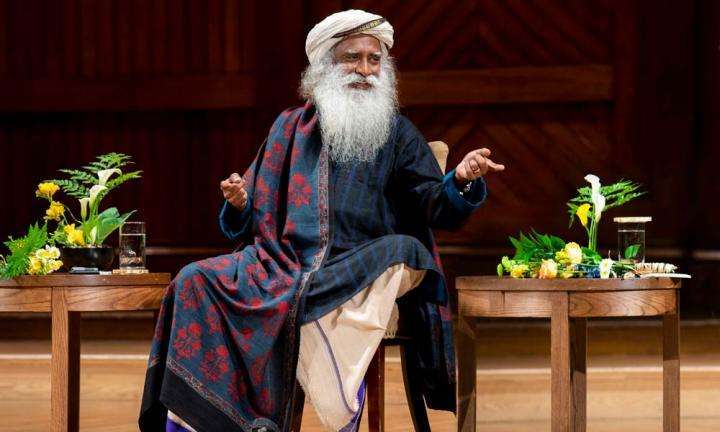 Q: Sadhguru, you have said that our psychological situation can be influenced by what we eat. Medical science is talking about how a fruit diet promotes psychological wellness. Is there any significance to this? And is a predominantly fruit diet okay for people in regular situations involving work, family or lots of physical activity? Sadhguru: In any machine, with any kind of fuel that we use, the efficacy of the fuel essentially depends on how easily it burns. For example, the kind of gasoline you use for a regular automobile is different from what you use in a race car or an airplane because of how easily it burns. You might have seen the octane levels in gas stations – eighty-seven, eighty-nine, ninety, ninety-one, ninety-three, ninety-six. When we were riding motorcycles, we would pay three times and buy hundred octane because suddenly the motorcycle performs in a way that others cannot. Similarly, the most easily digestible food is fruit. Digestion means jataragni – the digestive fires. If these fires have to burn most effectively, fruit is definitely the best thing. Unfortunately, a lot of people enjoy lethargy and inertia. Life has not touched them so they enjoy a part of them being dead. Sleep, intoxication, overeating and just lying down feels better than being alive, active and dynamic. Fruit may be a problem only for such a person because it will keep you alert and awake. It does not keep you intoxicated, unless it ferments of course! And one can know an extreme sense of joy, intoxication and a deep pleasure out of heightened levels of awareness also. But now the question is, can I eat fruit and still be normal? You know, even Adam started with a fruit. 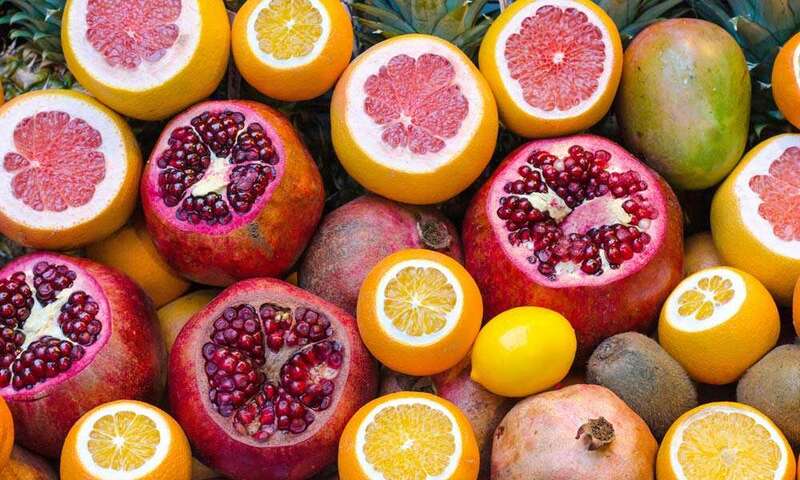 Fruit is one aspect that nature itself intends to be food. The seed is the important part of the mango. The flesh is only a draw, a lure so that animals and birds will go for it and carry the seed somewhere far away. Seasonally, there are a variety of fruits. It is incredible that those kinds of fruits which the land produces at a certain time are most suitable for the system. There has been a lot of study about this – how for those seasons when it is cold, when it is hot, when the moisture is very high, then the right kind of fruit comes out of the earth if you are eating from that area. But now you are eating fruit that comes from New Zealand. This is another matter. If you are eating from the land around you, you will see that the right kind of fruit is coming to you at the right season. It is the best thing to eat at that time. Fruit can do miraculous things to the body. One can become very alive and active, no matter what your lifestyle is. But if you are in a very physically-demanding kind of job – for example, if you are digging outside every day, not with a machine but physically, and doing very hard work – then you may find yourself getting hungry every two hours. There is only that much volume of fruit you can eat, but it gets digested so rapidly that your stomach may feel empty. Whether you want to use your brainpower or be engaged in physical activity, fruit will work perfectly well. If you go on a total fruit diet, you may have to spend a little more time at lunch and eat slowly, so that you ingest enough fruit. You may feel full even with a little fruit because it is generally sweet, so you have to wait and slowly eat. There is also a bio-clock within us. Let us say you were taking ten to twelve minutes to eat your normal cooked meal. 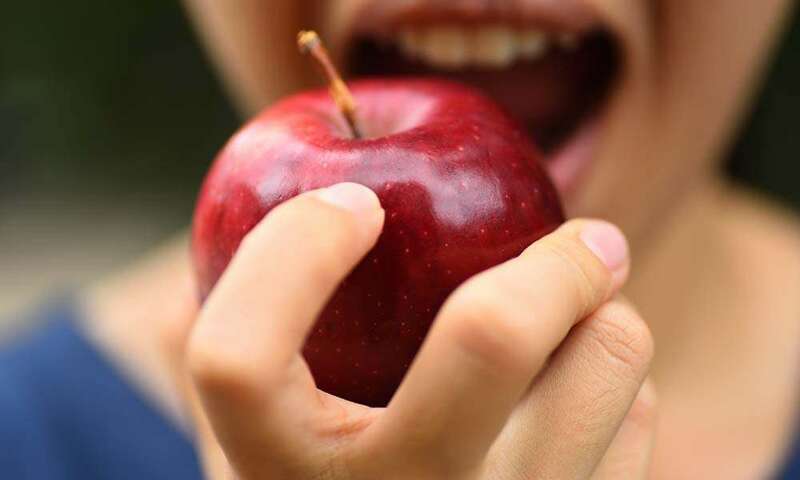 Even if you eat fruit, when you reach ten to twelve minutes, your body will say you have eaten enough. So you have to consciously eat more because the body is not looking at the fill, it is just timing you. If you are only on fruit diet and physically very active, you may need to bring three meals into your day. If you are sleeping six or eight hours, for the remaining sixteen to eighteen hours, eating three times is more than enough if you are eating fruit. But the stomach will feel empty within two hours, so you must get used to hanging on with high energy but an empty stomach. This is the time your brain works best and you as a human being function best. Whether you want to use your brainpower or be engaged in physical activity, fruit will work perfectly well. But you do not know what the fruit that you get in the market today is filled with. That is a little bit of a problem. I clearly notice this: the kind of country fruits that we used to eat when we were young are not the same as the farm-grown fruits that are coming to us today. They are much bigger, rounder and better-looking, but this is like Botox! I can clearly feel it does not have the same level of strength and aliveness in it. These fruits are essentially made for the market, not for the man. This does not mean that they are totally a waste, but they do not have the same nutrient that they used to have, so we may have to fortify it with some amount of other food. Above all, it is ecologically a very sensible way to eat. Everyone should turn at least thirty percent fruity - that is, at least thirty percent of your diet should become fruit. If thirty percent of your food comes from trees, not from ploughed land and crop, ecologically it will make a huge difference for the world. If you are trying to shift from heavy meat eating to fruit, then you may find it is like you have eaten nothing because you are used to being pulled down to the earth by eating very heavy food. You will anyway be pulled down to the earth when you die. But right now, we call it life when we spring out as if we do not belong to the earth. Even the bird that soars is made of earth, but when it is soaring up there it does not look like earth. Every life, when it springs out, it should not look like earth, though we are of the earth. If we want to spring up, the fuel that we consume must be that which burns quickly and is very easily flammable. That is the best food. In our stomach, without doubt, fruit is what burns up quickest. This means it has the least amount of residue and puts the least amount of tax and stress on the system. Editor’s Note: The ebook “Food Body” looks at the kind of foods the body is most comfortable with and explores the most appropriate ways of consuming such foods. The 33-page booklet is a first step to tune into your body and figure out what suits it best. Name your price and download. Lethargy comes from overconsumption of either food or thought. 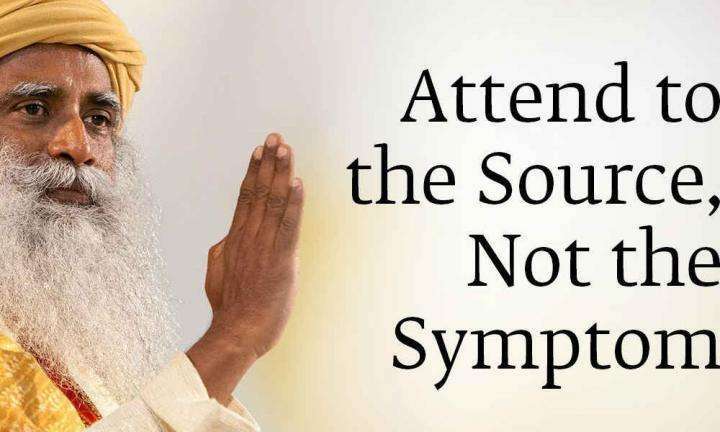 In a conversation at Harvard Medical School, Sadhguru looks at pain and the neurological system.